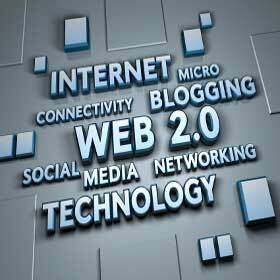 Web 2.0 platforms can be used for a lot of purposes. However, most marketers typically utilize them for gathering information, which can be used for developing a business. This is probably true for your business as well. As I’ve mentioned in previous We 2.0 marketing tips, though, it is always better to give, so you can receive more. That is to say, when it comes to optimizing the profits you get from Web 2.0, you must strive to provide something truly useful for your readers. For example, you can give them free information about topics related to your niche. Give such free tips every now and then sincerely, without thinking of profits ahead, and you’ll find yourself a good spot in the internet marketing world. Links to useful resources and web sites. If your readers can trust they will get useful information from you, they will come back to your pages (your Twitter, Facebook, and the like) again and again. Hence, I suggest you make it a habit to quickly post whatever useful information you stumble upon during your day. It takes only 1 minute, or just a few seconds when tweeting, to get a tiny but useful post out there. Once you use these strategies to build rapport with your visitors, you can then begin to reap the rewards by marketing your services and products to them.